What is a Hot Stones Massage ? 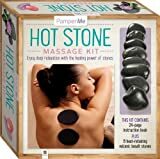 Hot stones massage has been described in enthusiastic terms by many people who have just experienced this type of massage treatment for the first time. The main, or perhaps in some cases all, of the massage is applied in the form of the therapist moving warmed stones onto and over parts of the body with different amounts of pressure. The heat and size of the stones also varies depending the therapist, client, reason for the treatment, part of the body being worked-on and so on. Details of the style and experience of a hot stones massage vary from person-to-person, both therapist and client. Although it seems that all hot stones massage therapists are also trained in at least some other form of massage, such as, for e.g. 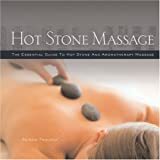 holistic massage, sports massage, or aromatherapy massage, not all massage therapists (of any particular type) are trained in hot stones massage or variations of it such as LaStone massage. It might, therefore, be a bit more difficult to find a good qualified hot stones massage therapist in your area than simply a 'massage therapist' (of any type). Also, although many holistic therapists offer a home visit service, at least within some limited geographic area, the services offered 'at home' often don't include hot stones massage due to the weight and bulk of transporting the stones and associated heating equipment and also the time taken to warm the stones before the treatment can begin. When people go to a therapist or treatment centre the stones can be conveniently heating in advance of the person's arrival so no time need be wasted before the treatment can begin. Publisher: Mud Puddle Books, Inc.